Oliver Scott “Oli” Sykes (born 20 November 1986) is a British musician, best known as the lead vocalist of the band Bring Me the Horizon. 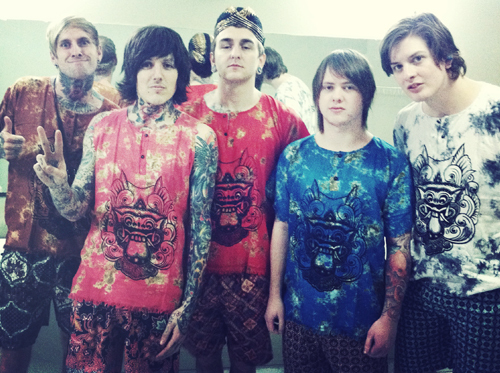 He also founded the apparel company Drop Dead Clothing. Sykes has also created the graphic novel Raised by Raptors with Drop Dead Clothing artist Ben Ashton-Bell. but in Latest MV he wearing batik which is a Traditional Indonesia cloth.